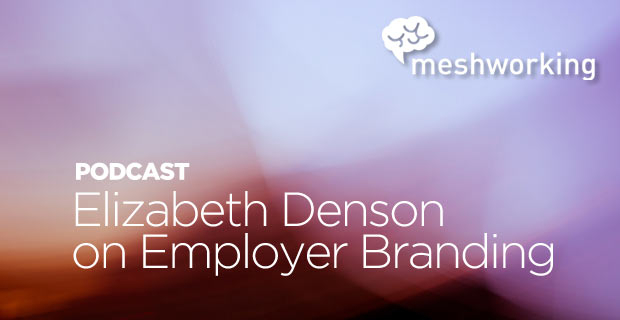 In our first Meshworking podcast, we interview employer brand consultant Elizabeth Denson and have an interesting conversation about what an employer brand is and isn’t, uncovering the difference between an employer brand and employer value proposition, and how a well-understood and well-articulated employer brand has a tangible impact on how easily companies recruit the best talent. Elizabeth references the book Leaders Eat Last by Simon Sinek. Here’s a video of Sinek explaining the concept in detail. Here are other resources on understanding what an employer brand is. To get in touch with Elizabeth, here’s her LinkedIn profile.